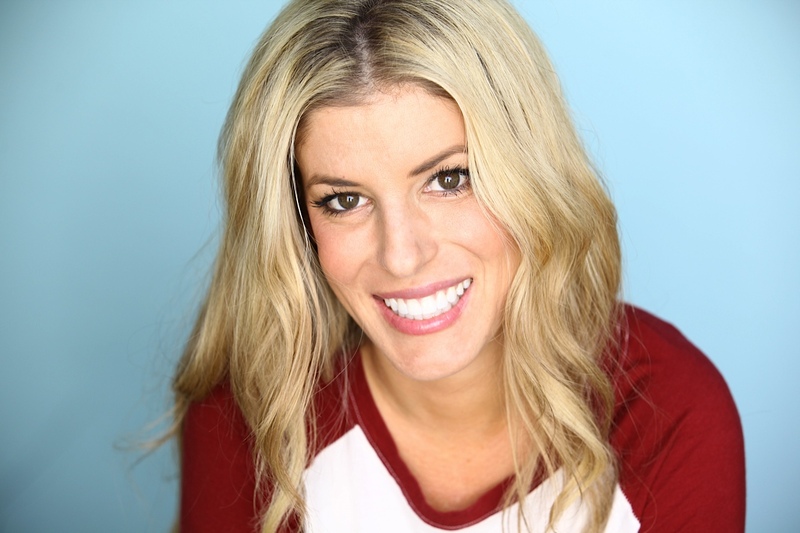 My name is Rebecca Zamolo and I am an actress/YouTuber in Los Angeles. I am a former UCSB Track & Field/ Cross Country Runner who was diagnosed with Ulcerative Colitis after I graduated. This past September I had my colon removed and wore an ostomy bag for 9 months. Now I rock an internal JPOUCH and use my story to help spread IBD Awareness. I love awkward moments and making people laugh. What inspired you to start running? I quit gymnastics and my mom told me I had to do something. I had always enjoyed running so I decided to run Track. I started out doing the 200m which is hilarious because they thought since I was a gymnast I would be fast, but it wasn’t the case at all. I begged them to let me run the mile (I had never run a mile since I never had to do P.E.due to my gymnastics training) and so my first mile time was 6:10. After that he let me train distance. What has been your biggest recent challenge in running? When I was diagnosed with Ulcerative Colitis- that became my biggest challenge as I would have to stop at least 4 times in my hour run to use a bathroom. I had constant pain and even bleeding. Running in places that weren’t near a bathroom gave me anxiety. It was the most frustrating thing to go from running at an elite level, to hardly being able to run for more then 10 min at a time. Who are the top 3 most inspiring women in your life? Lisa Becker- Has had an Ostomy Bag for over 10yrs and started a company called Ostomy Secrets which is underwear for people with Ostomies. She has used her disease to help others and is one of the most positive women I know. Nastia Luikin- She has transitioned her work ethic in sports into a successful career. I love how she presents herself. Amy Paffrath- My friend and host of VH1’S Dating Naked ran a half marathon with me after never running more than a couple miles in her life just to support me. I was truly honored and impressed with her determination. My asics shoes. They go everywhere with me. How has your relationship with running changed over the years? Before I was diagnosed with IBD, I took running for granted. I complained about the days I had to run more then I wanted to, or if I had a hard workout. After being diagnosed with Ulcerative Colitis, then having my colon removed and wearing an ostomy- I am so grateful to be able to run. Running is a gift. When I was competing in college I never realized how lucky I was to be able to do it. Today, I am so thankful to be able to run without pain. In one word, how does running make you feel? What’s your next goal in running? Since I have had 3 surgeries in the last 9 months, I’m trying to just enjoy being able to run without pain and adjust to life with my JPOUCH. I’d love to run another half marathon like I did when I had an Ostomy Bag. Rebecca is such a strong and positive person and she is an inspiration to many, many people! Rebecca, you are amazing and I love you! !